It’s pretty much a requirement at every F1 race to concentrate. You need focus, and you need confidence. In order to have a good race, you need to put in a shift across each and every lap, because one lapse can ruin your afternoon. Nowhere is this more true than Monaco. 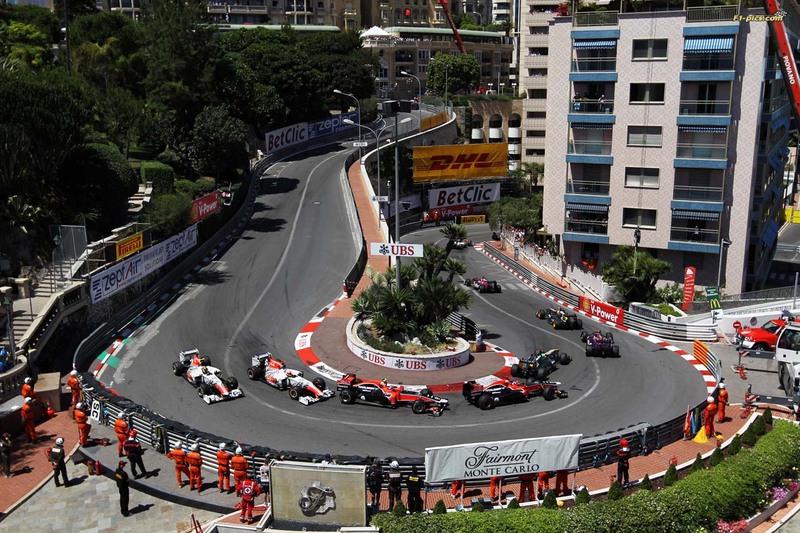 Whereas the Spanish Grand Prix (among several others) has run-off areas that cost you time and only time, Monaco’s track has only barriers, waiting to punish you if you drift off the racing line or misjudge a corner. It’s the ultimate street track – a narrow circuit, a winding, bending track that features several uphill climbs and downhill turns. There’s not a lot room to overtake either – it is a huge test of man and machine for real F1 drivers, and winning this glamorous event is seen as completing one third of an epic trilogy of races (which also includes the Indy 500 and the Le Mans 24 hour race). On F1 games, I dread Monaco. I usually wind up either crashing out, or winding up well down the order. To score points here on this F1 2009 career would mark a significant improvement on every other experience at this track, but I knew in order to achieve this, I would first need to put in some hard practise shifts. I found the first sector to be reasonably straightforward. Turn 1 is approached at high speed, especially after the fast sprint down the track’s only true fast straight, and requires a sharp, hard application of the brakes. Turn 2 isn’t really even a turn in my book – you can hold a straight line through it without too much difficulty. Turn 3 doesn’t need an especially hard use of brakes, though I would tend to lift the throttle slightly here as well. 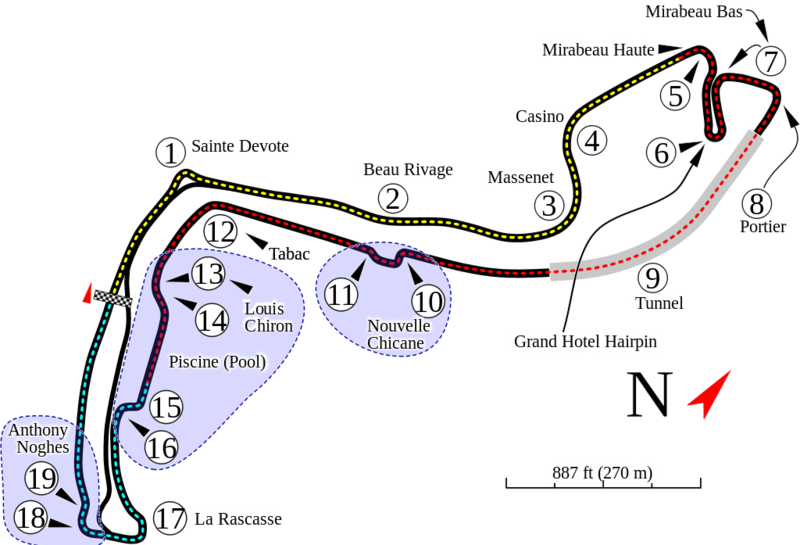 Turn 4 is taken fairly quickly (if you want to get a good sector time), and then you hit the hard turn 5, which is immediately followed by a downward run to the famous Grand Hotel Hairpin. Turn 7 is fairly slow, and Turn 8… well, you can take this one a little quicker than turn 7, but you need to be careful – the barriers will come up faster than you think (turn 8 is where Ayrton Senna famously hit the barriers at the 1988 Monaco Grand Prix, having been dominating the race but pushing too hard to set the fastest lap). Next is the famous Monaco tunnel. 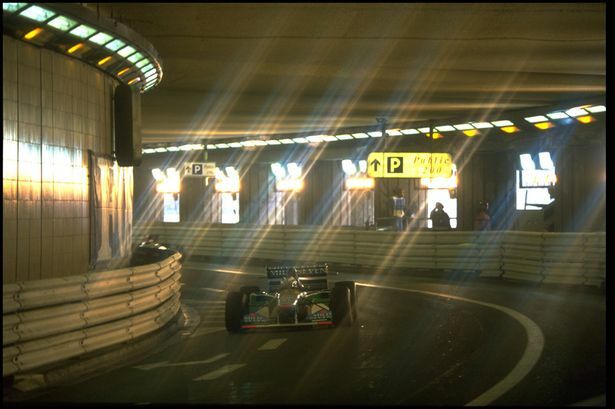 Thankfully on the game, the glaring light at the end of this tunnel is not an issue – for real F1 drivers, they need to not only be mindful of the upcoming chicane, but have to deal with the sudden burst of bright light as they exit the tunnel. Turn 10 and the subsequent sequence of corners represent the areas I had the most trouble with. You have to brake early to take turn 10 right and get into good shape to exit the corner at a reasonable speed. In my early practise runs I would struggle with this a little. Turn 12 however, was the worst one for me. It looks like you need to approach it tighter than you actually need to – and as such, it was usually here that I’d hit the barrier and damage my car. After a few attempts, I came to realise what I actually needed to do, and set about putting in better laps. Turns 13 and 14 are where you need to be brave. My gut feeling was to squeeze the brakes but you can go through them nearly flat out, before braking hard for turn 15. The final couple of corners were a tad annoying. You’re coming out of turn 16 quite fast, and suddenly turn 17 is right there, a tight, slow right-hander, and you need to keep bearing right as anything else sees you hit the barrier. Turn 18 leads right into a small dink that is referred to as turn 19, and this caught me out a couple of times. Then it’s back to the main straight and another sprint to turn 1. So, how did my race go? Yup, I managed to win at Monaco! I managed to qualify on pole, the result of some very quick clean laps (I think the AI was too conservative on braking at certain points, which gave me an advantage), and, despite losing the lead to Webber’s Red Bull for a couple of laps, I was able to bully my way past him and race into a comfy lead. I did lose my nose cone at one stage, and also got a stop-go penalty for hitting another car (which in my view was their fault, not mine, but the AI is not forgiving), but despite this, I won the race by two laps from Vettel and Button. Yes, you read that right, two laps. I dare say I would have won this race anyway (it was by far and away my most composed performance at Monaco), but the scale of the victory was inflated by what I suspect were problems for the AI cars. They pitted far more often than I did, and I can only think this is because A: they were pranging their own cars and requiring new front wings every five minutes, and B: penalties. The result was a crushing win for me, my first ever on this game at Monaco, and 10 points that saw me close to within 5 points of championship leader Button. After six races, I have had four podiums, two wins and two fifth places. This is far better than I’d imagined, but I know tough races lie ahead!